The H22 was one of the largest of the Rock Islands built, and one of the last. 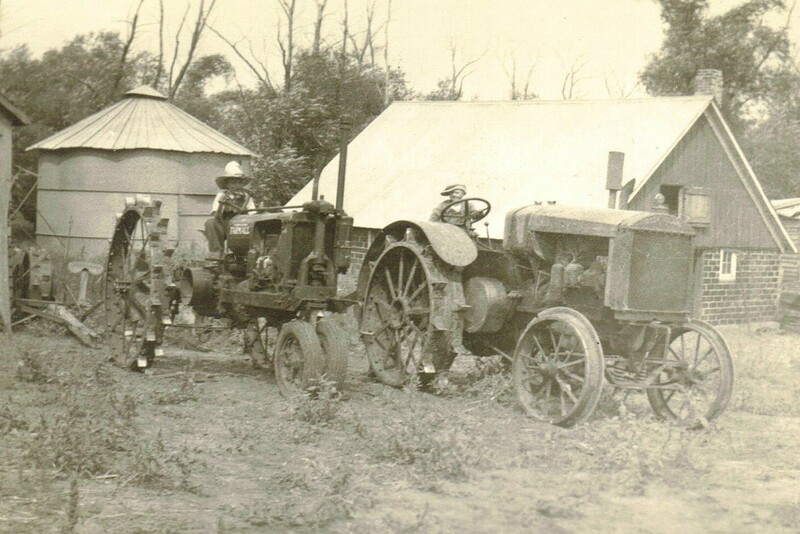 Although its horsepower ratting of 22-40 is less then the rating of the 1930 Canadian Special F 22-45, it was likely in practice significantly more powerful. The H22 was likely meant as the high horsepower successor to the 18-35 F series and as the high horsepower counterpart to the H5. 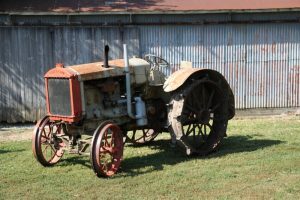 The H22 carried the same design lineage as the H5; Where the H5 featured the same engine as an Oliver 80, the H22 featured the same engine as an Oliver Hart Parr 28-44/ Huber HS 27-42 and many of the same rear end components as a Rock Island FA. This was an issue, as the H22 was a substantially more powerful tractor and rear end failures would have been a risk, I know of one H22 with pinion gear damage. 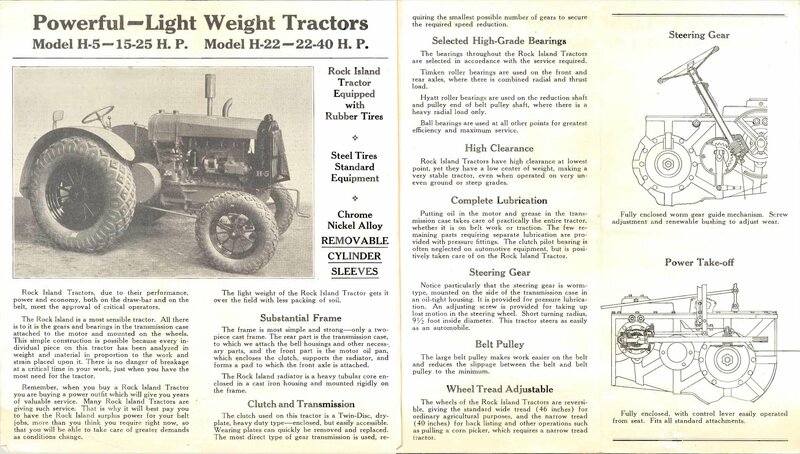 The H22’s catalog weight of 5000 lbs is also substantially less then the Oliver’s 6400 lbs and the Huber’s 6125 lbs. 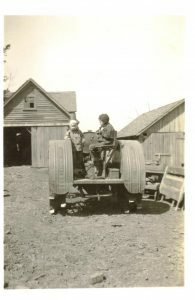 The Rock Island H22 was never tested at Nebraska so no hard numbers for its HP exist; however, Nebraska test for the Hart-Parr 28-44 in 1930 produced 34 hp at the drawbar and 49 hp on the belt running Kerosene. In 2017 we dynoed 36002 up to almost 53hp on gas, and might have made a touch more if we had the governor set slightly better and had pushed it. That afternoon, a Hart Parr 28-44 pushed 58 hp on the same dyno. Unlike the earlier H’s, the H5/H22 series is very distinguishable from other Rock Islands. The overhead single block Waukesha engine is readily apparent and having both intake and exhaust on the operators left is a dead giveaway. Another visual clue is the front of the fenders is rounded off only on the H5 and H22. Like the H5, the H22 was a full production tractor, although final numbers are unknown it is likely that since only 26 CHS engines were shipped to Rock Island according to the Waukesha Engine Historical society the number was in that neighborhood. Only one run was scheduled for the factory in 1935, however, it appears at least a few were built in 1936. H22-36002 was on display at Heritage Park of Iowa before we added it to our collection in 2012, it is also the only Rock Island I have confirmation of with a 36 serial number, likely the one Bockwoldt has referenced. The engine tag for it indicates a build date of 7/1935. Strangely, the serial tag for 36002 indicates a belt speed of 660, wheres as 220016 indicates only 585. Neither one matches with the 640 in the advertising brochure. I have now confirmed four H22’s remaining. Ours and 22021 sold in late 2013 in Kansas, are both running, wheras the other two are not in running condition, one requiring major engine work, the other transmission work. In 2014 I wrote an article for Antique Power and talked about 36002. A few weeks later,Marty Wagner, the grandson of the original owner Arnold Wagner decided to contact me. We had an excellent chat, and he sent me some family photos of his dad and uncle with the H22. So far, these are the only photos of an H22 during its operational lifetime to surface so far. Although he was at the Forest City sale, he said he was never really in the running. 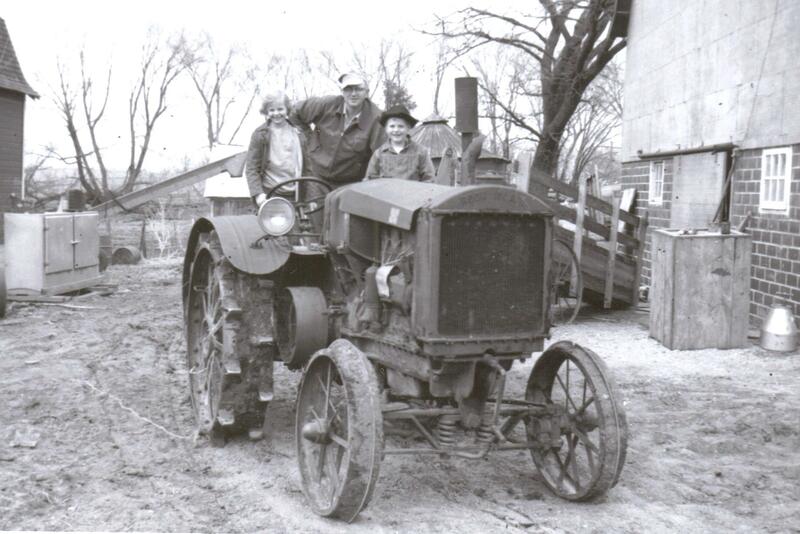 The story goes that Arnold Wagner purchased the tractor new at the dealership in Albert Lea from his wifes uncle who was the salesman. The log book says it was bought for $990.95 plus $10 delivery on July 7th 1936 with a 3 bottom plow (which probably was a little small for this brute of a tractor). They had planned to buy the smaller H5, but were talked into the bigger H22. 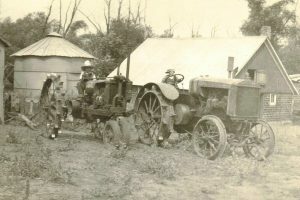 It was mostly a beltwork tractor, running the sawmill, a silage chopper and ran an Avery Yellow fellow seperator on the threshing circuit, replacing a Russel Steamer. 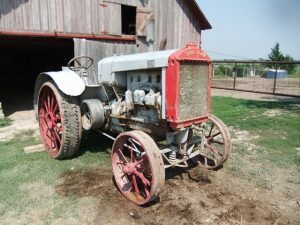 A Farmall F12was bought a year or two after it for field work and was put on cutoffs at some point, the H22 stayed on steel. 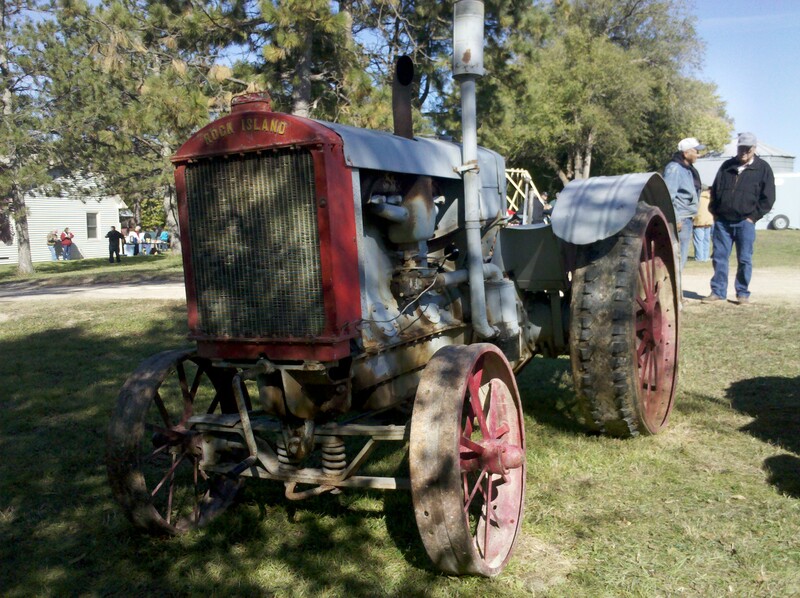 The H22 was eventually replaced by a Farmall MD that didn’t do nearly as well. Nothing they ran could pull the H22 down supposedly, but the same load would kill the MD. 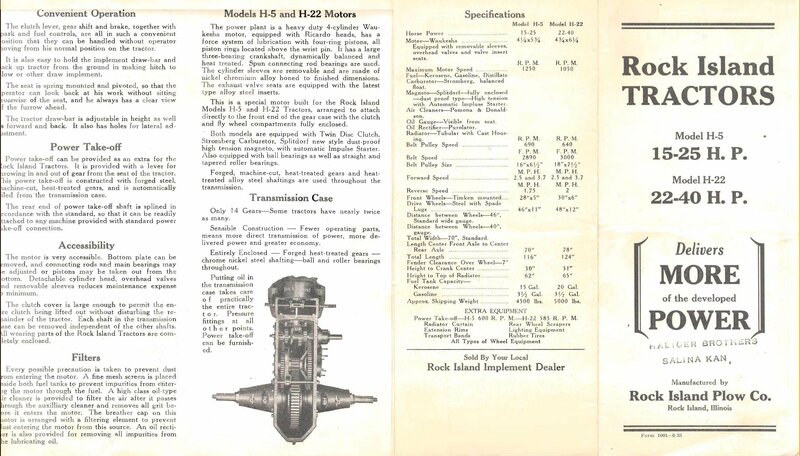 There were also notes for a number of engine parts in 47, so it may have seen an engine overhaul then. 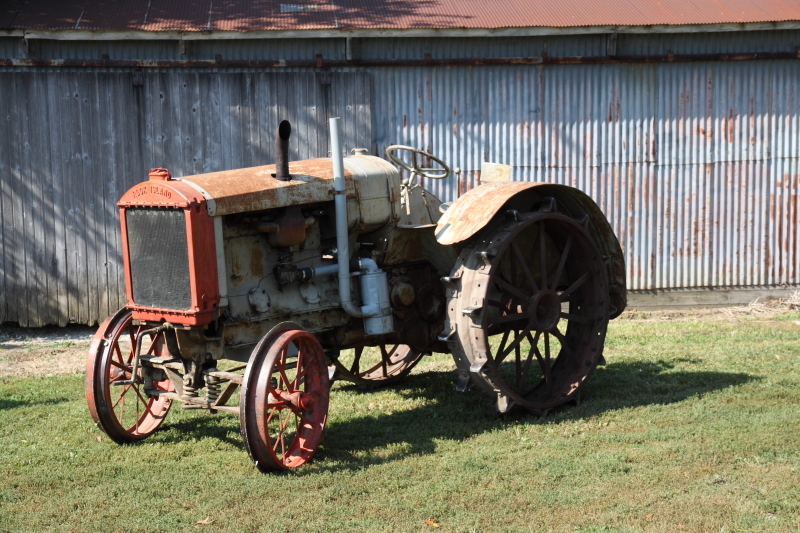 After it as retired, it was shedded until ~1980, after that it sat outside for a couple of years until it was sold in he thought 83, he only recalled seeing it run once, but never drive. 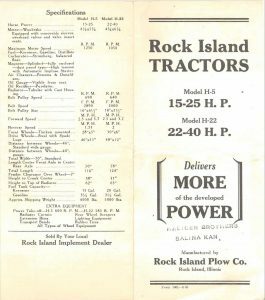 Besides the ledger, two Rock Island books were found, but neither was an H series book. One was for a model G, the other for an F/FA so we now have to question if any books were printed. 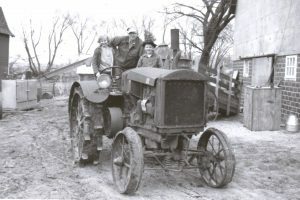 The first two pictures are from ’37 or 38 or a little later, the third is from 63 with Arnolds son, a grandson and granddaughter with the tractor looking the worse for wear with the motometer broken off, rusty and the hood partially off, but with lights added. Another owner of one of the other H22’s recounts a similar story, the H22 being replaced with a more modern McCormick Deering and it not handling the separator well. The old H22 was brought out and had no problem on the same loads that choked down the new tractor. 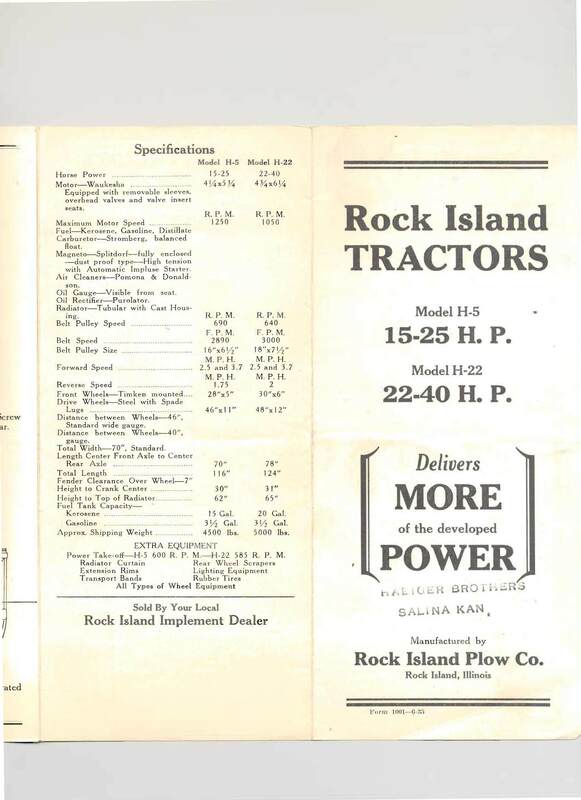 Had Rock Island placed a better transmission in the H22, it would certainly have been a respectable tractor, however, its introduction was too late and it was already too far out of date. Literature and advertising is sparse for the H5 and H22, and I would greatly appreciate the opportunity to examine any.